Looking for community? You’ve come to the right place! 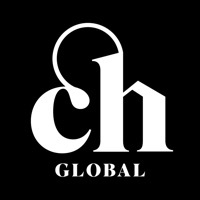 Churchome Global is a Christian community that brings people together – anytime, anywhere – to have more meaningful connections with each other and the world. 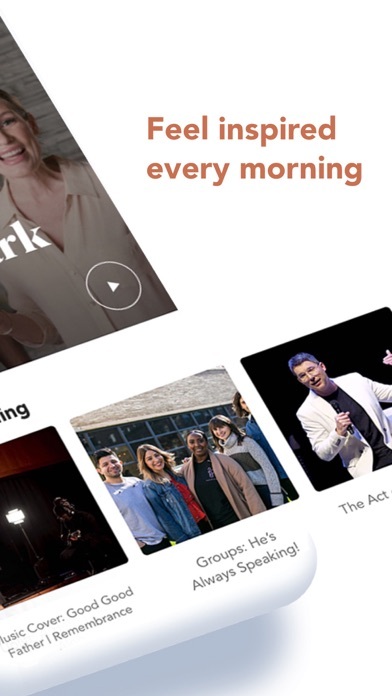 Churchome Global offers daily content from our pastors and team, including Judah Smith, as well as live events and campaigns that connect us, transform us, and raise awareness about issues all over the world. Whether you are looking for community, believe in Jesus, or are just looking for more uplifting conversation and content, you are welcome here. Download, be inspired, and become a part of our family! Here’s what you can expect: Daily Spark: · Encouraging new video content uploaded daily Live Events: · Tune into church services and live community events · Interact with the Churchome community in our lobby chat Pray: · Submit a prayer request · Pray for others Grow: · Deepen your relationship with Jesus through online messages · Participate in classes and sermon series led by our pastors Connect · Join a digital Churchome community · Find a group near you · Start a group of your own Uplift · Join live UPLIFT Events · Learn about our UPLIFT causes around the world · Donate to causes you believe in About Churchome: Churchome, a non-denominational Christian church led by pastors Judah Smith and Chelsea Smith, is a thriving multi-site church noted for its cultural relevance, commitment to biblical integrity and faith, and love for Jesus. We believe that Jesus is the maximum expression of God’s love. We want to create an environment where people can experience God’s love and grace no matter who they are, where they are, what they are going through, or what they believe. We experience God’s love by connecting with one another through authentic relationships. We are “a small church with a lot of people.” In other words, we want everyone to feel that they are a part of our community and to find the acceptance, friendship, and family they need. This app is amazing !! So thankful to be able to access such an amazing church and amazing people at my fingertips !! When i press two thumbs to pray, is the microphone recording my prayer and sending it to the person? or is it just symbolically telling them i prayed for them? I want to start off by saying that I LOVE this app, and the community it has allowed me to create with other believers. However, I think there might be a HUGE oversight when it comes to members’ safety. I have seen multiple prayer requests within the last week that express physical and mental health emergencies. I think it would be good for the developers to have a way for those requests to be examined, and make sure that people are getting the help they need. I have reported these postings, but I’m not sure if anyone is following up on it. On a less serious note, it would also be great to have the option to delete direct messages from users. With all of that said, I would love to give this app 5 stars if those safety concerns are addressed. I love this app so much, it’s allowed me to pray more & listen to God’s word more. I get excited reading the prayer requests. Love this app.. Judah is the reason why I’ve gotten closer to Jesus and I love the way he dissects the gospel. Thank you Judah for all that you do and I hope to see you one day to personally thank you! I'd love to watch the live service but the app is unclear in explaining how someone "arrives in the lobby." Thanks. 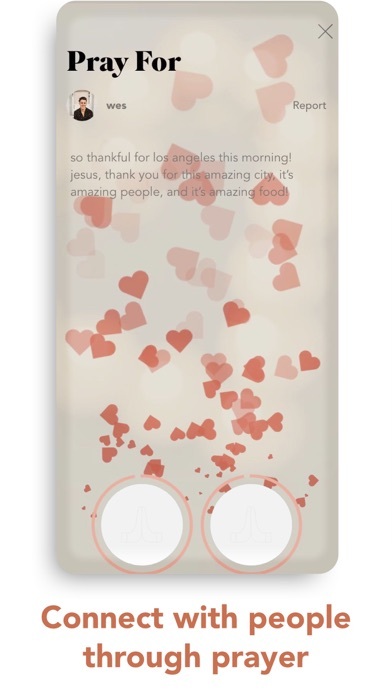 I really enjoy using this app and especially the prayer function! It’s been a great way to connect with people all over the world! Of all the church apps I’ve used, ChurcHome Global is one of the best. Because I’m disabled and cannot always make it to church on Sundays, I really appreciate the ability to access online services. In addition to the services, I really appreciate the free content. So many churches, some mainstream, charge money for access to sermons and teaching. I’m on a fixed income (disability) so paying for content isn’t really an option right now. 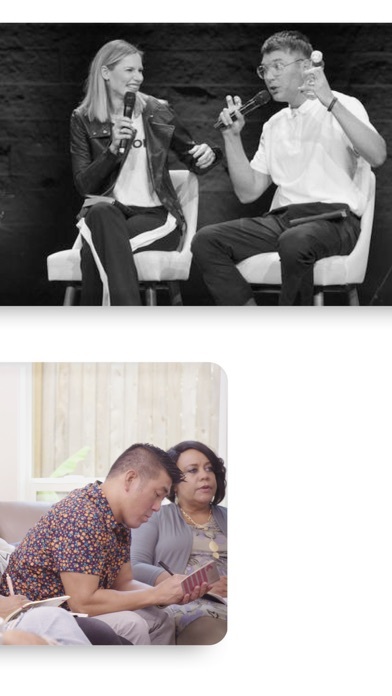 I’ve really been blessed by ChurcHome’s teaching over the years (before my disability I attended regularly), and to have access to ChurcHome via the app is wonderful. I do miss attending ChurcHome in person very much, but at least I can get fed using the app. I also really like the prayer request forum, and the ability to connect with groups. Thanks ChurcHome for such an amazing app! 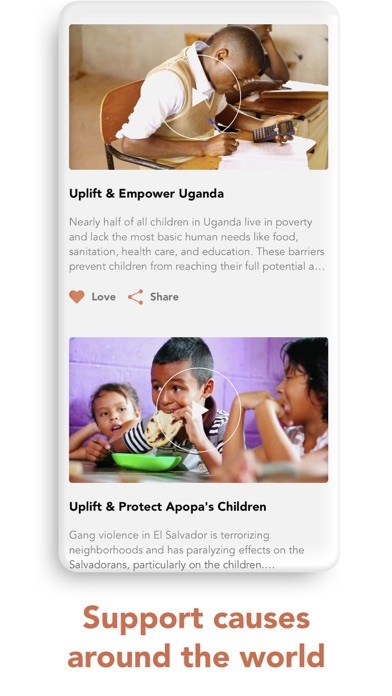 PS - will you ever have a “resource room” (aka - donation market place) - a place on the app where people can post items that they either need or want to give away to bless people in need? I know the logistics of it might be difficult as the app is geared toward a global audience, but maybe there is a way to work around that? Just a thought! Either way, thanks for blessing us with your generosity CH! I love this app! A new way to church and truly showing Jesus to the entire world! I’m so expectant that this app will give people easy access to experiencing Jesus’ love and grace. So amazing! 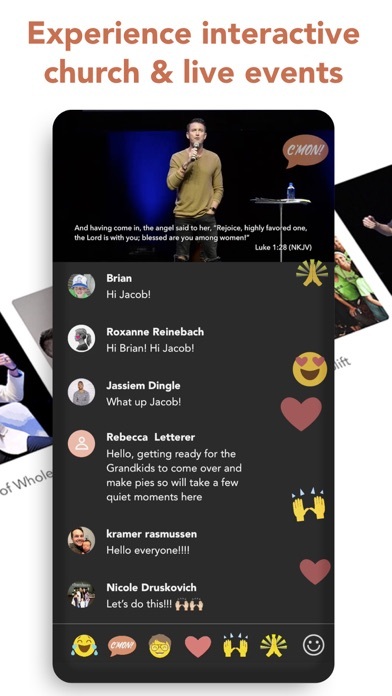 Incredible, innovative way to connect to church and community from ANYWHERE! I love how this app allows me to connect with other people and engage in so much positive, encouraging content. It allows me to bring church home with me and removes the “expectation” that I have to go to a certain building to experience God! Love this app! Love the experience and the community! My only complaint is that I wish the daily spark was uploaded earlier in the day for those of us with work /school early in the morning! Love the app! I've been going to the downtown Seattle location for a while, and love the church and message of hope they spread! This app is a fantastic extension of that, there is so much content already. I love the daily spark, I just need to get into a routine of adding it on my day. Very excited to have this in my life! This app makes Jesus real in my life everyday and makes me feel part of community. Thank you Churchome! 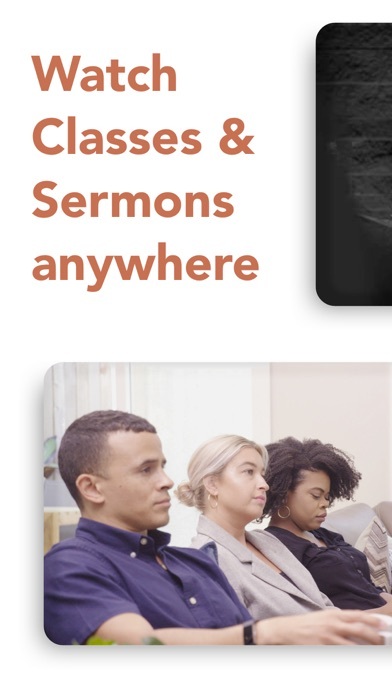 I’m so saddened that the way we understand church has been reduced to an app. This is not the church. Such a great app!! So excited that I can be in community even when I’m not in a church building. Absolutely loving the ability to pray for specific prayer requests everyday! Can’t wait to keep using it! Great app. The developer team did an amazing job putting this together. This app is so inspirational. It sets the time for my daily life. I love the devotionals and community here. Just what I need in my life! Easy to navigate! Joined a few groups already and was able to chat with people instantly! I love the prayer feature. Touched my heart seeing all those prayer requests and I caught myself sitting on the couch next to my wife praying out loud for other people. I rarely pray out loud in front of my wife so it was a cool moment. My heart goes out to each person with a prayer request. I will definitely be back to pray for more people. I ADORE the prayer aspect in this app! 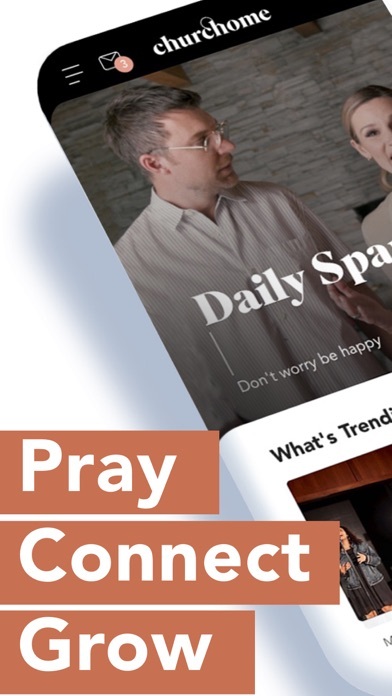 The fact that thousands of people across the planet can share their prayer requests and praises with one another and receive the prayers lifted up on behalf of them... just praise God for this app!! What a gift to the Church! This is exactly what the world needs right now!!!! I love churchome and can’t wait to dive deep into this new amazing app everyday. God bless Chelsea and Judah. Churchome saved me and I hope it saves you too!! Wow! This is truly the first of its kind. Taking church everywhere you go. It’s incredible and allows me to feel and be more connected. Great way to start everyday life - God's message leads me to focus on Him in any situation of a day! Being able to connect with the church from anyway is a game changer! I travel a lot so that’s a big deal for me; feeling connected no matter where I am in the world! This is amazing! My kids love it! I am so encouraged! & my husband, friends & I are having the most meaningful conversations around the profound content! This is start of something new and exciting, glad they are pioneering! So far the app runs great. Churchome has had some an amazing impact on my life. The love of Jesus and his desire for for everyone to belong to his family is a message everyone needs. I NEEDED IT! this app is already such an encouragement and is such a cool way to connect with God and community! I already feel more connected with my churchome family. I love the content and ability to connect with others! 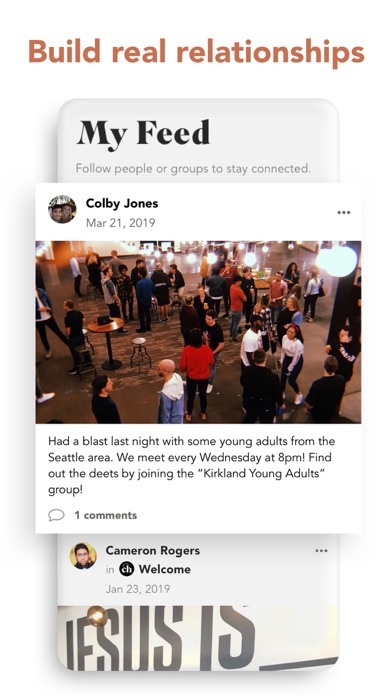 Such a great way to connect with other Christians or to simply check out what Churchome and Jesus is about. My favorite aspect of the app is “daily spark”! Such an awesome way to start the day. The app is so easy to use. Feels like I am actually connecting with the community! Even though it’s through the phone. 10/10!